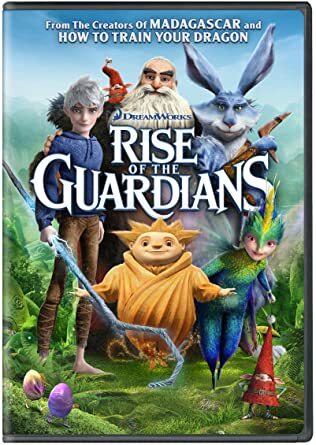 Have you ever heard of the Rise of the Guardians? William Joyce began it all with a few books and then a movie and all of a sudden, Newman children were fanatics. Some more than others. cough, cough Corynn! Basically, Jack Frost, Santa, the Toothfairy, the Sandman, the Easter bunny and the elves all have to save the world from the wicked Boogieman named Pitch Black. Ineke made a nice little elf, far cuter than the real deal. But you just can't cover cuteness up, no matter how hard you might try. I made her hat using this pattern and leftover stash yarn- which I ran out of and had to use the closest red yarn I had to finish it- which wasn't perfect but not disastrous, either. You can totally tell....but I have a goal of using up a basket full of yarn and that wouldn't happen if I went out and bought more yarn for a perfect match! And besides, I try to make the costuming as cheap as possible. Ears were made from felt and Adele had a perfect jingle bell- all of which were only temporarily attached so that "little girl Ineke" can wear it all winter. I did have to fanangle the neck to have button closures because her big 'ole head could barely squeeze through the neck opening. After I finally finished the hat after weeks of working on it here and there, I barely squished it over her head and she said very matter-of-factly, "I don't like it Mama." Fixing the neck to have buttons helped her change her mind but the jingle bell and ears sealed the deal. She loved it after that. Total cost = about $.50 for a scrap of clearance ribbon and a buckle. The dress was serendipitously handed down just a week or two before Halloween. Painted with paints we had on hand- from finger paints to acrylic. Feathers we mostly had on hand (I did buy a small bag of hard straight primary color ones). Tulle strips and felt feathers for tail. Floral wire bent into wings and covered with shiny fabric (also on hand) and last years' genie makeup finished her up. Unfortunately, I hadn't stashed any golden handmedown fabric over the years. Salvation Army and the church choir who was getting rid of all their choir robes, to the rescue! I cut off the bottom and made a poofy neckline and added a golden scarf (also at Salvation Army). I couldn't believe how wonderfully easy that costume was thanks to the choir robe! A bit of tulle left over from Adele's costume for his dream dust and some golden hairspray and face glitter... Judah's favorite part of the costume was definitely the hair! More handmedown fabric (It helps having friends who sew. 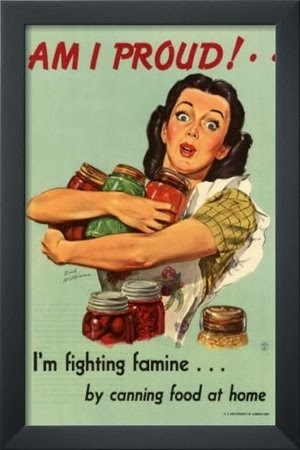 It helps, also, to be a bit of a hoarder.) made Matt's robe. Stash yarn for the beard. I used the Viking Beard pattern which will probably be revisited next year as Judah wants to be a Viking. Amiable fellow with the twinkly eyes- one in a million. Total cost: about $2.00 worth of black fuzzy fabric from Walmart for hat and robe trimming. Andrew made a perfect villian. Try not to have him haunt your dreams! Not having to cut the boys' hair for two months so they could do cool hairstyles on Halloween - pretty stinkin' awesome. You know what is so awesome about Corynn's costume? I didn't do a single bit of it! Corynn did it all!! Frosts' hook- stick from woods, some wire and duct tape. Hoodie with glitter and fabric paint. Black pants. Her biggest disappointment was the white hairspray. She came in, desperate "I don't look like Jack Frost! I look like a Granny!" Another coat made it look a bit more frosty. Jack Frost? Frosty? It worked. Mine was probably the most expensive costume. Not a bit of fur in my stash anywhere so I had to purchase it. I about had a heart attack when I saw that Joann's was selling some furs for $40.00 a yard! Whaaaat?!?! Do people spend that sort of money?! I got the cheapest gray I could find, used a 40% off coupon and only got a 1/3 of a yard. I also got gray boots and pants and Salvation Army. A scrap of faux leather for the egg grenade belt and the wristbands (also with a coupon). Easter eggs leftover from Easter. (Am I the only one who saves them to reuse?!) I stole some of Andrew and Corynn's makeup. Ears made with floral wire and a headband which I also had to buy because the skinny headbands the girls have weren't rugged enough to support such.... extravagant ears. Yeah, extravagant...that's a nice way to put it. Let's just say, I had to duck to walk in doorways. Total cost: about $8.00. Not super impressive- though I got a pair of boots and jeans out of the deal. All in all, had it not been for having to buy so many different color hairsprays and the fur, it would have been a super cheap year! Crafting and Yarning along with her and her... though now that I don't have costuming to do, I am not sure what project to pick up next! Reading: Frankenstein by Mary Shelley. Rebecca! We LOVE that movie! :) This is fantastic, as usual! Good to see a post from you again! LOVE the family costumes. You and the kids did a great job using what was on hand to pull it together. And, Rebecca, you look wonderful--great in those skinny jeans and tall boots! Adorable! Great job on the costumes. So clever and cute! Well done. You are so creative! That bunny picture of you should be your new avatar! LOL! This is amazing, everyone looks fantastic!!! My kids love Rise of the Guardians, such a great story. You are so creative and fun. I bet that took quite a bit of time! These are really fantastic, and the children and I are hard pressed to choose our favorite. After we left your house, I was bummed that I didn't get to see Adele's dress, and it is even better than I imagined! Such a fantastic paint job! I laughed seeing your tallying up of cost and such, because knowing the costumes this year were going to be more expensive, I gave myself a limit, and then the children made fun of me when I panicked thinking I might accidentally go over, so I can understand your dismay about the fur costs, BUT...it was totally worth the money you spent. That fur is perfect, and I love the extravagant ears. Back to the favorites: ALL OF YOU! Ineke is killing us with her pose in that last picture. She's the perfect pert little counterpart to that no-nonsense Father Christmas. No one recognized creepy Andrew until I scrolled down to his mouth. Corynn looks incredible! She's not the least bit grannerly, and you may tell her we said so. I love your face makeup. You did such a great job, which is impressive, considering you had everyone else to get ready, also. Which brings us to Judah, who just *might* be our favorite. He was tailor made for that part, and his costume is delightful. So well done, all around. p.s. Piper has mentioned several times that she got to wear Adele's headdress. I'm thinking there's a hint hidden in there somewhere? It is beautiful. Thanks everyone for the nice words and for taking a minute to say howdy! It was awfully nice of you and fun to come back and see some comments for me to read. I love that! Amy and Jade~ most of the people whose homes we visited said "We've never seen it! Can we borrow it?!" In fact, this Friday we are having a movie night with some friends with THAT being the movie. It's a good one. Jean- JEAN! Hello! It's good to see you pop by! I hope you are well! Abby- Judah did seem to suit the part, didn't he? And if ever Pip wants to be a parrot (or a toothfairyish Tinkerbell, perhaps?) you'll know where to look for a feather headdress.